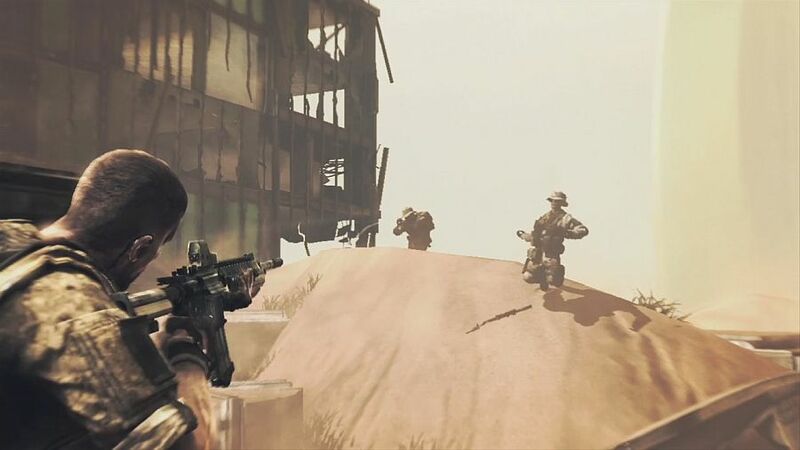 Spec Ops: The Line can be quite difficult, especially on the harder difficulties. Running and gunning just won’t seem to work to get through the horde of enemies. If you’re having trouble with the combat and don’t want to tone down the difficulty, check out these Spec Ops: The Line tips and tricks below! Don’t move unless you need to. If you need a better angle or can’t see an enemy, then move. But if you’re able to take them out from your current position, don’t risk being flanked. Stay put and take them from a distance. Use your squad. This may seem obvious, but both Lugo and Adams have their respective uses. Lugo has a powerful sniper rifle, and Adams has a machine gun. Use them to your advantage, don’t forget about them! The shotgun is powerful, but there are only a handful of corridor-like areas. For the rest of the time, stick with an assault rifle with a shotgun as a readily available back up. The armored enemies are tough, but if you lay down suppressant fire and use Lugo and Adams, you can make short work of them. The machine pistols are pretty useless, don’t waste your time with them. Focus on an arsenal of an assault rifle and a shotgun. Handguns work, too. But shotguns are preferable. Finally, don’t forget, if you find yourself in a tough spot, R2/RB has your team flash bang the enemies, giving you precious time to find cover or switch positions. Do not hesitate to use this. It doesn’t use from your flash grenade reserve, and saved me more times than I can count. Follow these tips, and you’ll no doubt be a better soldier in Spec Ops: The Line! The game can pose a strong challenge, but with these tactics, you’re sure to take it to the enemies!